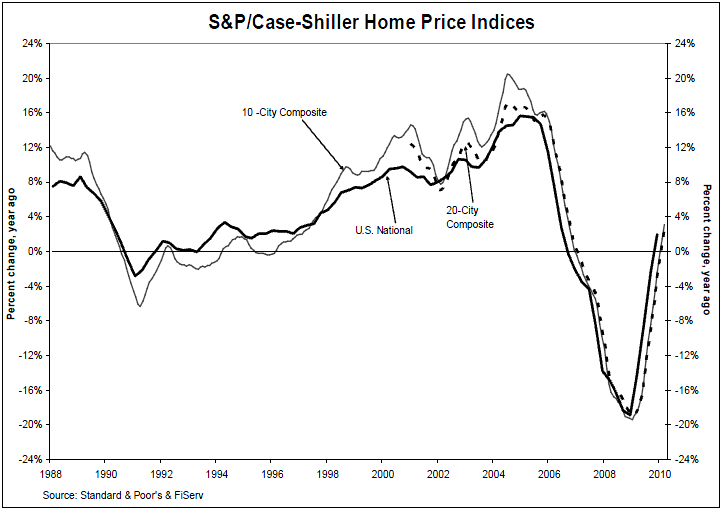 Today’s Case-Shiller Home Price Index confirms that a softening of residential sales and prices is already under way. It is likely to accelerate over the next few quarters. 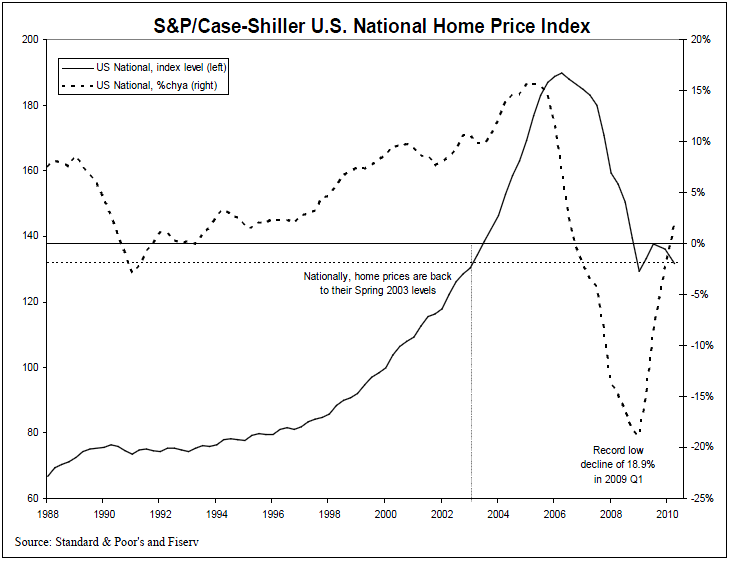 Data through March 2010, released today by Standard & Poor’s for its S&P/Case-Shiller Home Price Indices, show that the U.S. National Home Price Index fell 3.2% in the first quarter of 2010, but remains above its year-earlier level. 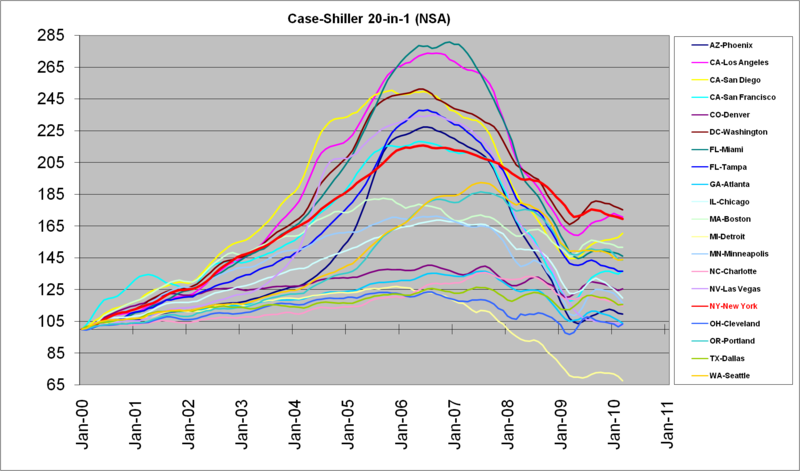 In March, 13 of the 20 MSAs covered by S&P/Case-Shiller Home Price Indices and both monthly composites were down although the two composites and 10 MSAs showed year-over-year gains. Housing prices rebounded from crisis lows, but recently have seen renewed weakness as tax incentives are ending and foreclosures are climbing.